An 18ct white gold and diamond Coco engagement ring claw-set with a stunning 0.51pt Marquise diamond. 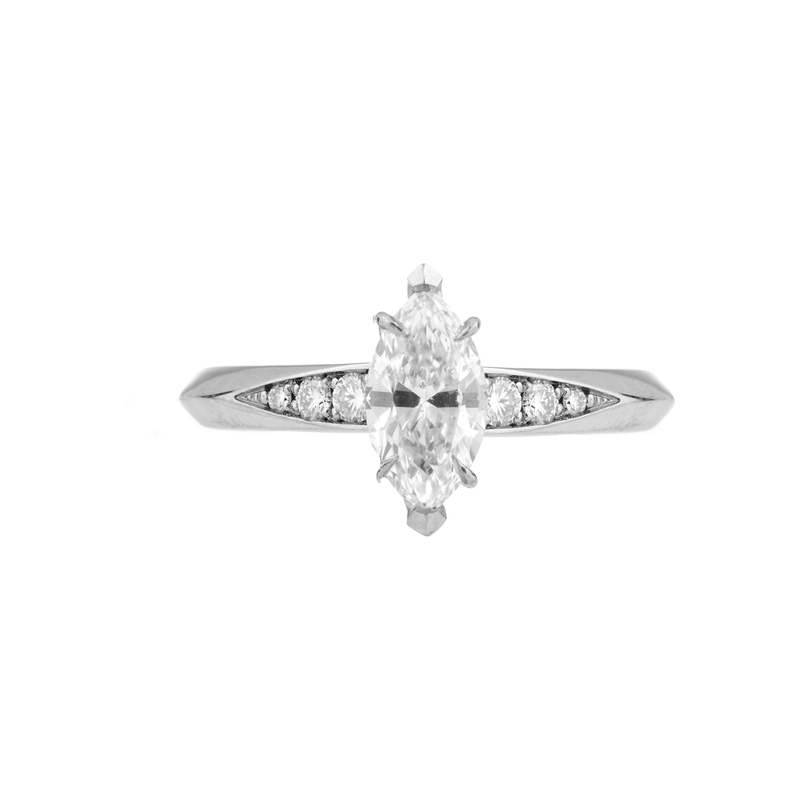 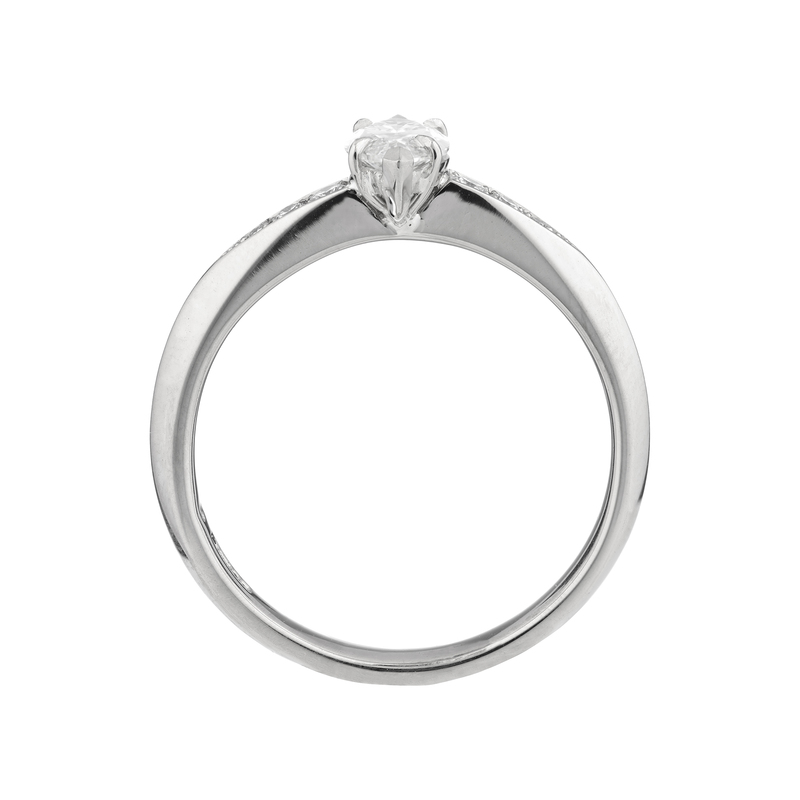 The ring has the classic knife-edge shank grain-set with six white diamonds weighing 0.09pts. 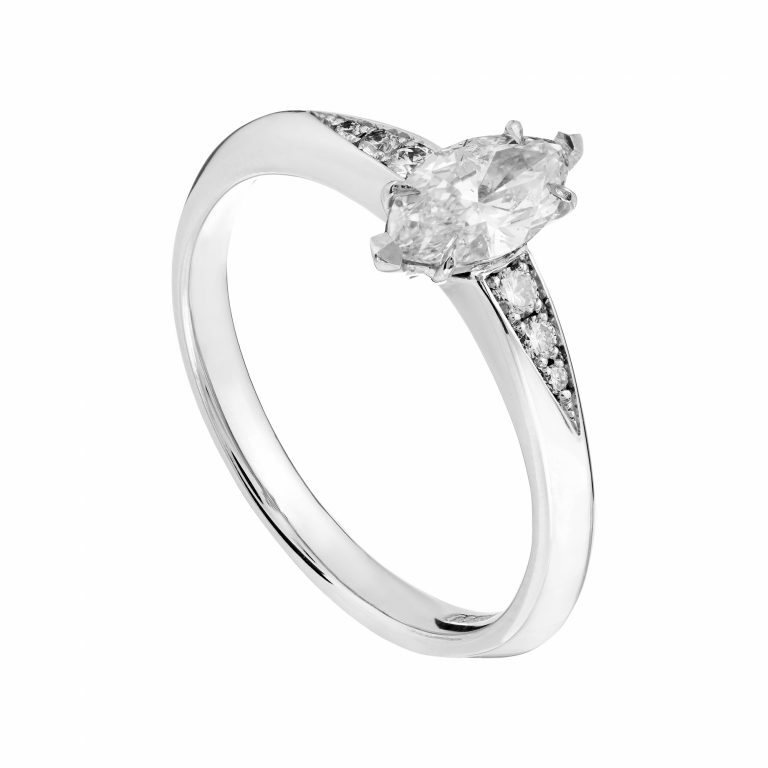 The total diamond weight of the ring is 0.60pts and the finger size is an M.